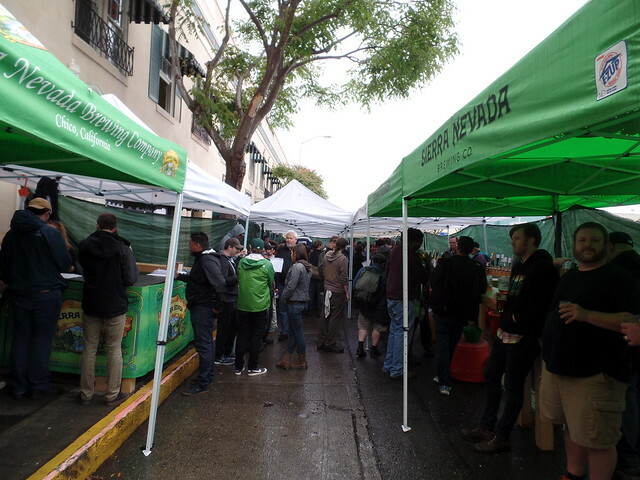 Today was only a little wet in Hayward for the 19th annual IPA Festival at the Bistro. 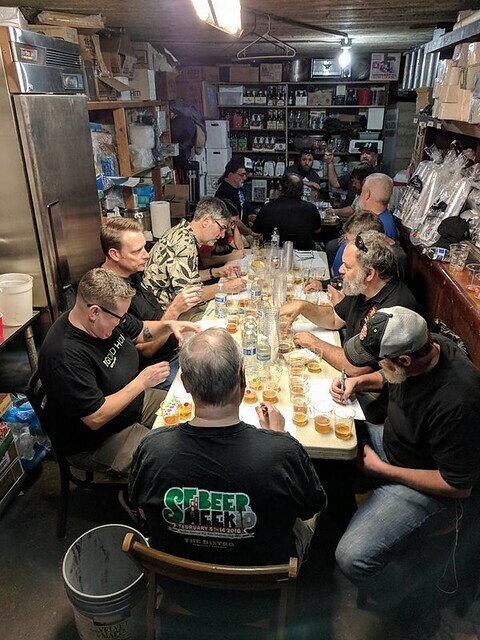 It was perfect beer-drinking weather once we emerged from judging in the basement all morning. 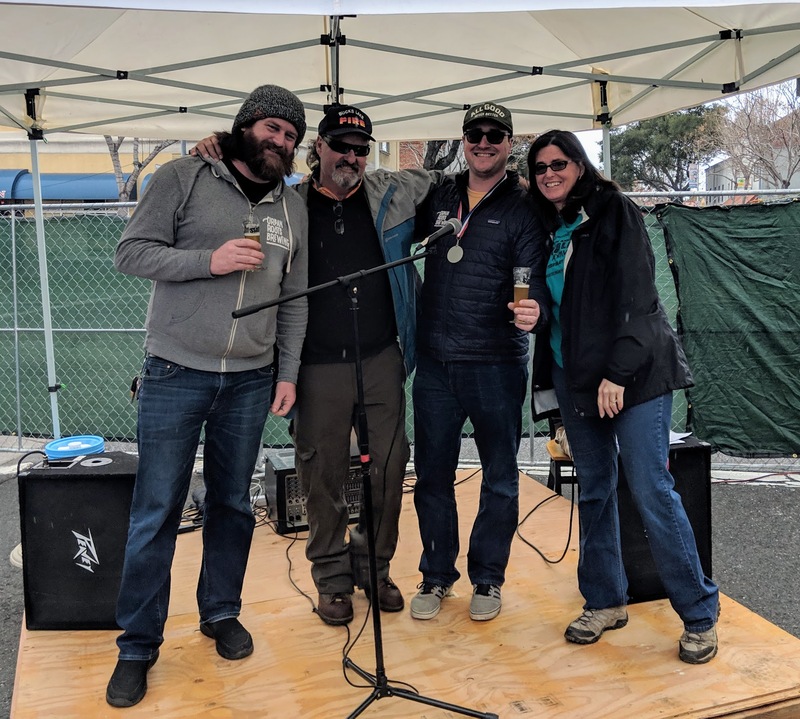 This year’s big winner was Today Was a Good Day IPA, from Pizza Port Carlsbad, which was chosen best in show, out of 64 IPA offerings. The full list of winners is below. As I’ve revealed many times here, I’ve been a huge fan of The Muppets since I was a kid. I’ve even gotten my own kids to love them, as well, showing them the old Muppet Show on DVD, along with all of the films. So imagine my delight when ABC announced a new Muppet Show called simply “the muppets” that debuted last month. So far it’s been pretty good, with their signature bad puns, musical numbers, celebrity cameos and much of the same type of humor that I loved in the 1970s. Plus, they’re making fun of reality shows, which as a genre I absolutely loathe, so that’s a bonus. With the kids schedule, and mine, we Tivo almost everything and finally got around to watching Episode 4, Pig Out, yesterday. If you don’t have Hulu, try Putlocker or, depending on your cable provider, the ABC website. The episode’s plot revolves around the staff unwinding after hard days dealing with their insufferable boss, Miss Piggy, who is miffed she’s never been invited to one of these after parties. She manipulates Kermit into geting her invited with the promise that she’ll turn them down. Then, as you’ve probably guessed, she accepts and everyone assumes that the evening will go downhill fast. They go to a karaoke bar, and indeed it is quite awkward at the beginning. In fact the bar is called “Rowlf’s,” as you can see on the beer mugs they’re shown drinking out of. Rowlf, a brown shaggy, piano-playing dog, was one of the very first Muppet characters back in the 1960s, so it makes sense that he’d own a bar in the new incarnation. But then Ed Helms unexpectedly arrives at the bar and things begin to liven up. There’s much drinking and karaoke singing — the Swedish Chef’s turn at the mic is particularly memorable. Halfway through the evening Helms’ is leading a sing-a-long to Journey’s “Don’t Stop Believin'” when at one of the tables in the bar, something caught my eye. 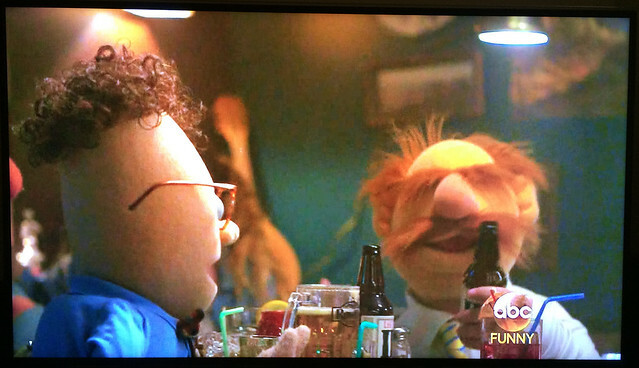 One of the more obscure Muppets, Chip, and the Swedish Chef were drinking Lagunitas IPA! Chip was drinking out of a mug but the bottle sat on the table while the Swedish Chef was drinking straight from the bottle. It’s only there for a few seconds, but there’s no doubt what it is. If you don’t think that trademark is important, or that typefaces and fonts can, or should, be protected, both my wife and my son immediately recognized the bottle when I showed it to them as being from Lagunitas, and all you can see of the label is the single letter “I” on the sideways bottle. 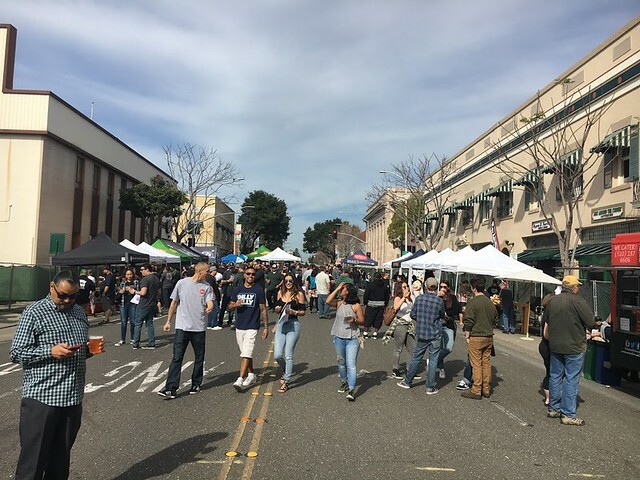 You can also see humans in the bar holding bottles of Lagunitas IPA throughout the scenes shown in Rowlf’s. They’re all quick cuts but it’s still unmistakable. 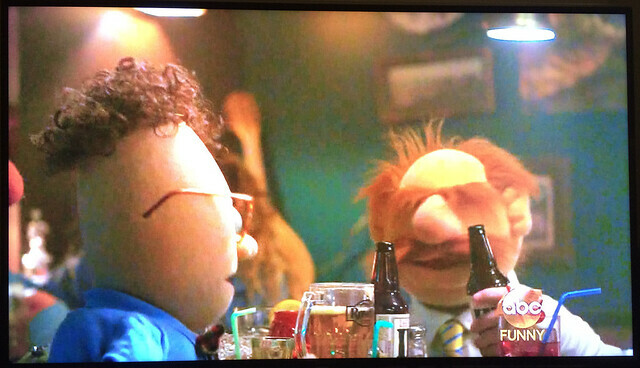 The Muppets definitely drink Lagunitas IPA. Nice to see my local brewery’s beer on a show I love. The article is subtitled “why that might be a good thing,” presumably alluding to the increased demand, but never really answers that question satisfactorily. 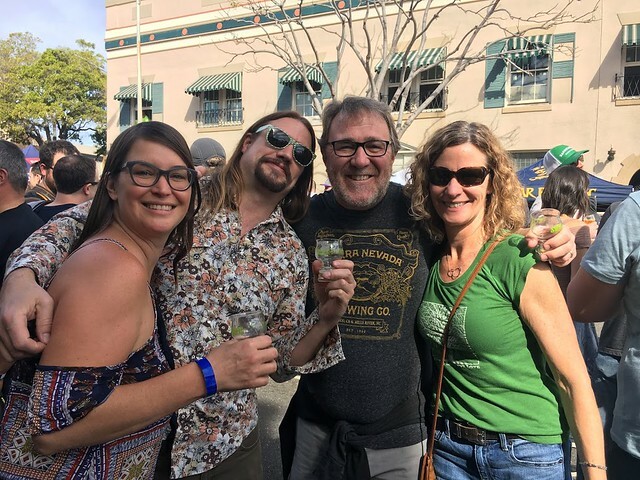 There’s a quote from the former director of the Hop Growers of America, Doug MacKinnon, saying “Craft brewing is sucking up every pound of hops in the U.S. 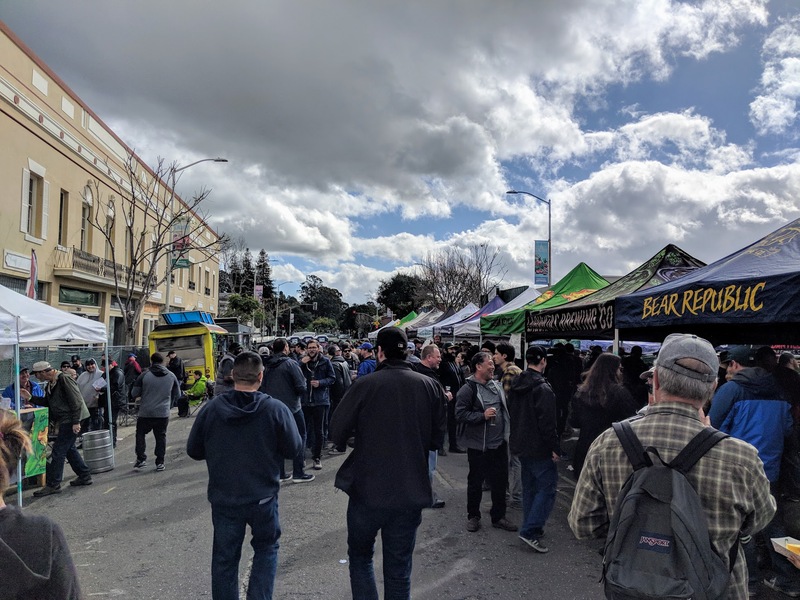 Growers can’t expand fast enough,” and suggesting that’s opening up the market beyond Washington, Oregon and Idaho, where U.S. hop growing has been concentrated at least since prohibition ended. 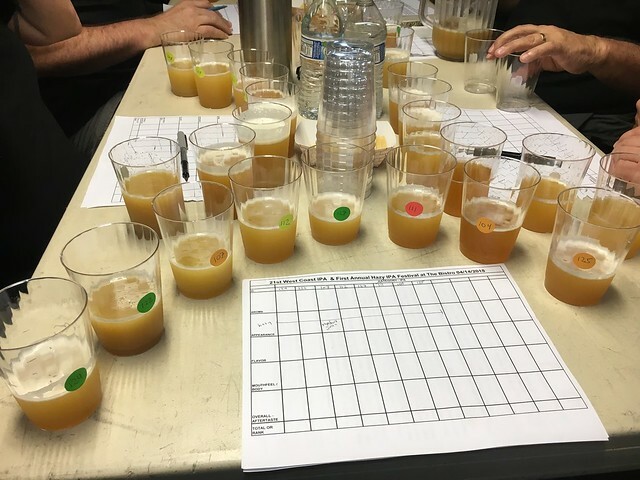 The article cites as proof that “single-acre hop operations are popping up on other types of farms across the country, including “Growers in New York, Minnesota, and Colorado,” and I’m also aware of similar efforts with commercial farms in Maine, Wisconsin and California, and I’m sure I’m forgetting somebody. Hops-Meister, which is near Clearlake, started in 2004 and grows ten different varieties on at least 15 acres. Co-owner Marty Kuchinski will be talking to my class tonight about hop farming. 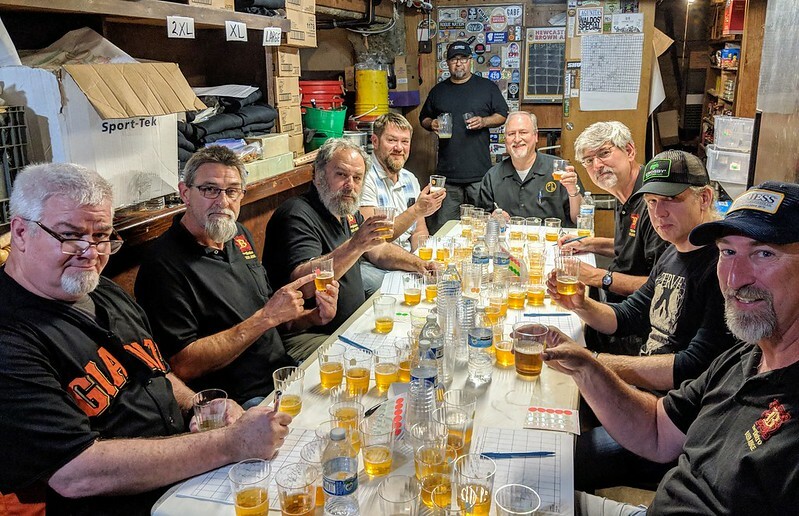 California used to grow more hops than any other state prior to prohibition, but never rebounded as farmers here found they could make more per acre growing grapes, but it’s why that legacy includes the town of Hopland and the Hop Kiln Winery. 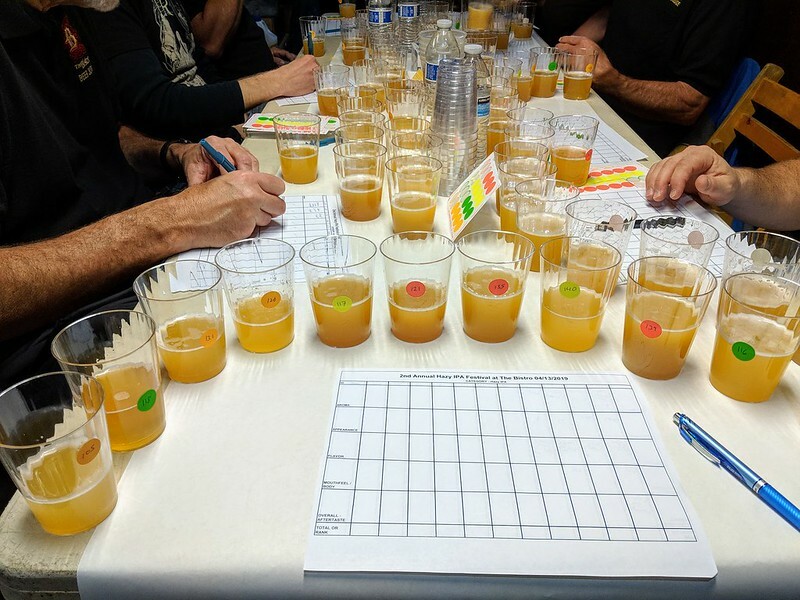 And New York used have an entire hop industry in the 19th century, until a downy mildew problem and other issues forced many to move production out west. 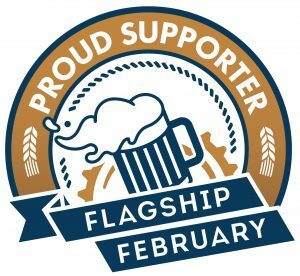 So it’s little surprise that, with more modern farming methods, this growing demand would bring back hop farming to many parts of the country, not to mention a strong desire for brewers to have more local ingredients. 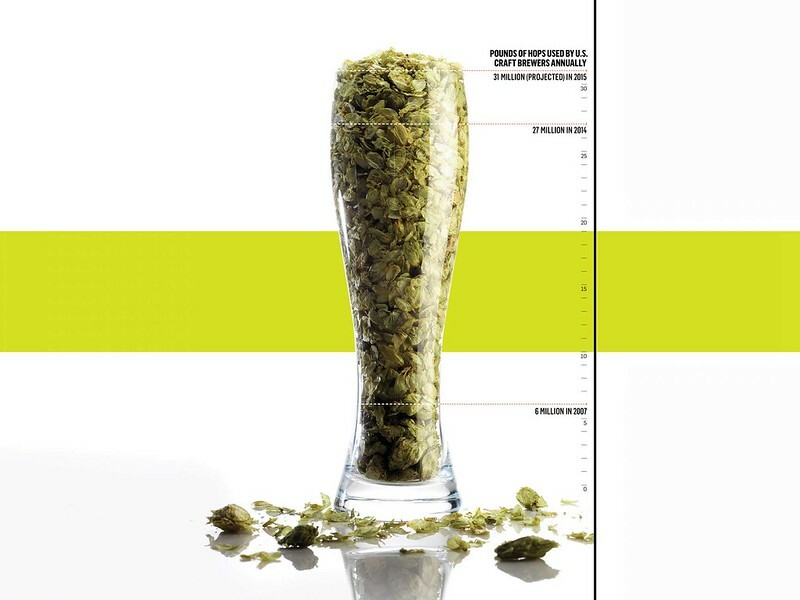 But the numbers just seem crazy: 27 million pounds of hops in 2014, and an estimated 31 million pounds this year. 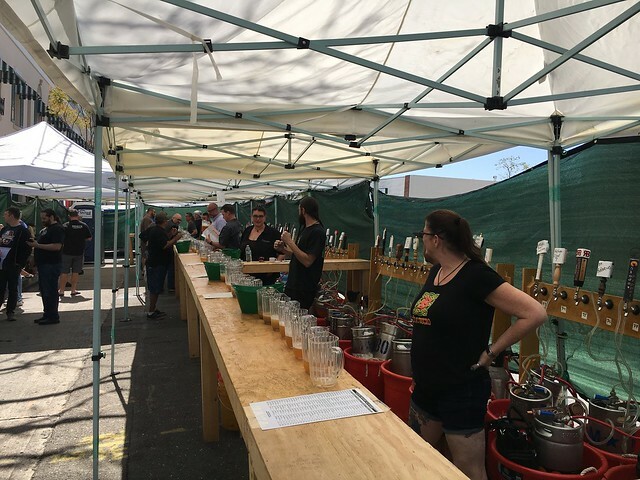 After missing this festival for the past few years, I finally made it back to judge this year’s Bistro IPA Festival. 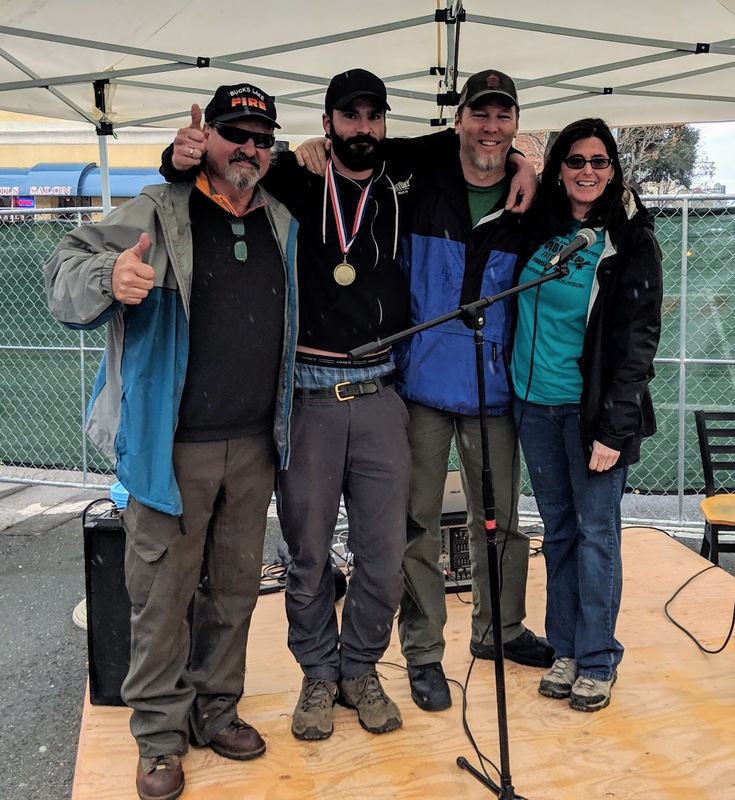 This year’s big winner was Solana Beach IPA, from Pizza Port Solana Beach, which was chosen best in show, out of 70 IPA offerings, at the 18th annual IPA Festival today at the Bistro in Hayward, California. The full list of winners is below. Here’s an odd bit of news. 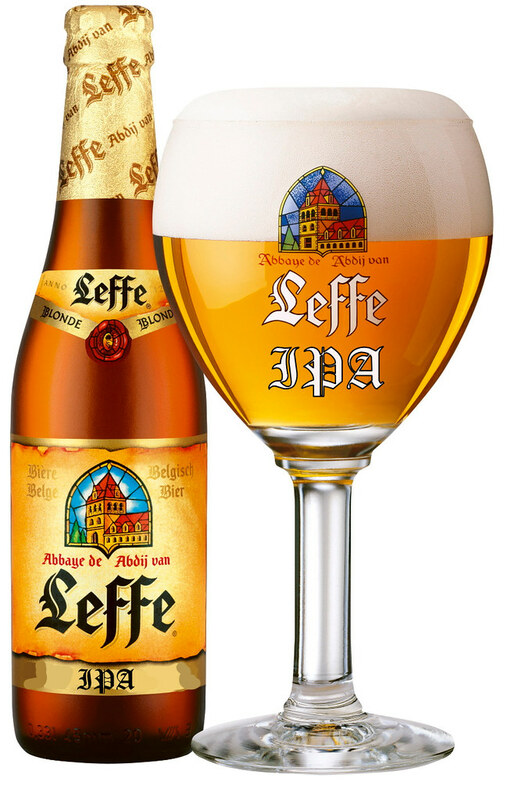 The Belgian brand Leffe, owned by Anheuser-Busch InBev, has traditionally made abbey beers (though that’s certainly been changing since being acquired by ABI) and the current lineup from Leffe includes a “Blond, Brown, Ruby, Tripel, Radieuse or Vieille Cuvée,” and a few others, as listed on their website. But according to an item on Totally Beer, a source in the French-speaking part of Belgium, La Libre, is reporting that ABI is planning on launching a new IPA under the Leffe brand, to be known as “Leffe IPA.” At least one Belgian beer source doesn’t think it’s a good idea, calling it a big mistake. It certainly seems like an odd fit to launch a hoppy beer under a label known for brewing abbey-style beers, not hop forward ones, no matter how popular IPAs might be. 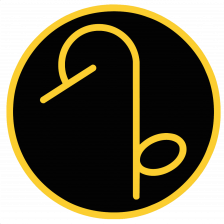 I made this up, but it doesn’t look right, does it? 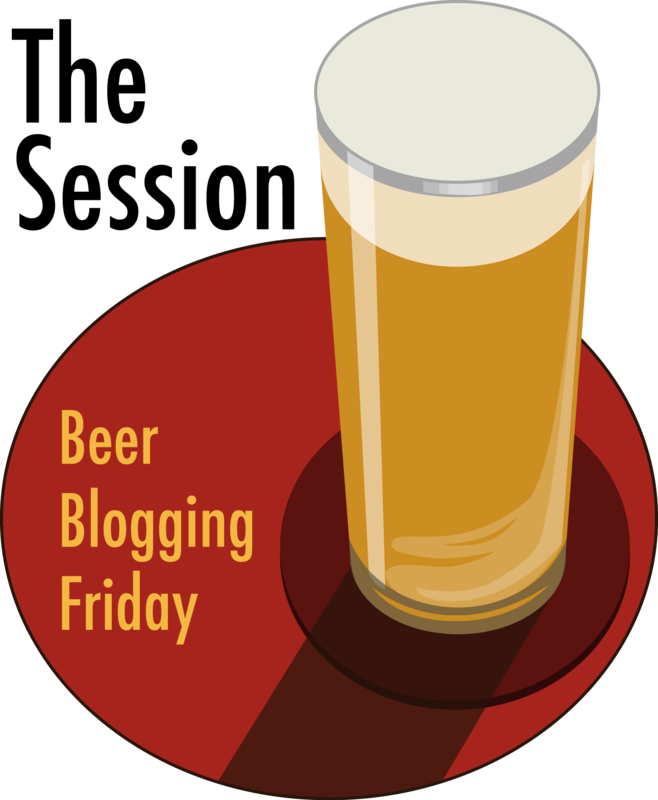 UPDATE: It appears that ABI will not be calling the beer Leffe IPA after all. Much like the famous scene in “Pulp Fiction” about McDonald’s “Quarter-Pounder with cheese” being called the “Royale with cheese” in France, the Leffe IPA will also apparently be called the Leffe Royale. And take a look at the graphic below, taken from Beertime (though it appears it originally was printed in a catalog of some type), there will actually be three different Royales. 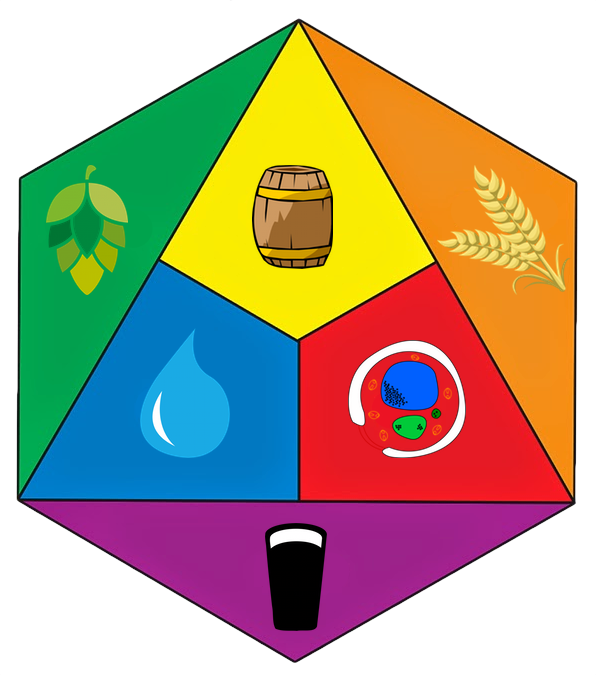 The graphic announcement says that the beer will have “subtle aromas” and “3 different varieties of hops” (despite listing four) but I think that’s just the first beer in the series. 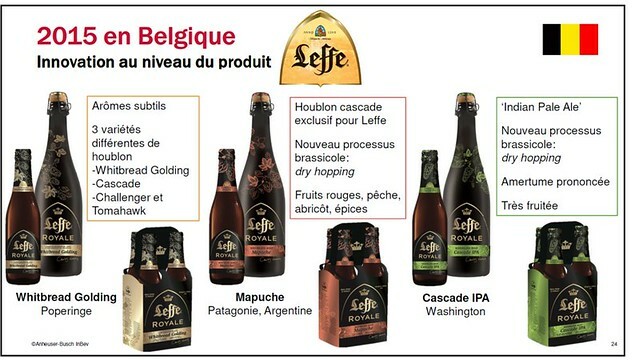 Curiously, it also appears to say that the Cascade hops are exclusive to Leffe, which unless I’m reading that wrong is an odd statement given that Cascade hops are the most popular hop variety used by smaller brewers. 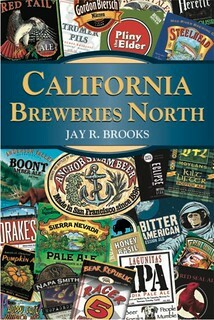 Of course, they could just be saying the beer is using Cascade hops exclusively, simply meaning it’s a single hop beer. And this is a pretty interesting claim: “New brewing process: dry hopping.” I’m sure Britain’s brewers are howling with laughter at that one. Descriptors mentioned for the beers include “red fruits, peach, apricot, spices,” a “pronounced bitterness” and “very fruity.” So I guess the first beer is using the four listed varieties (Whitbread Golding, Cascade, Challenger and Tomahawk the second is brewed with the “Mapuche” hop variety from Argentina, and the last one Cascades. 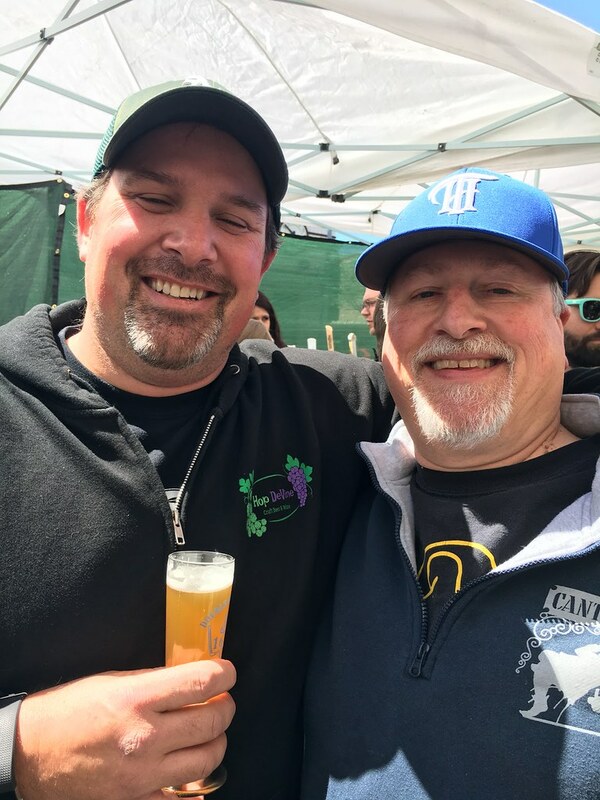 It’s possible that only the Cascade IPA is the IPA of the three, and that the others aren’t meant to be, just all more hop forward beers under the umbrella of the “Royale” series. H/T to The Beer Nut for sending me the link.